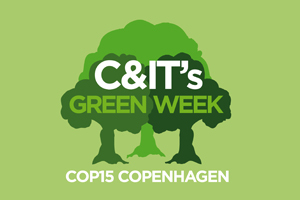 C&IT GREEN WEEK: The Institute of Travel & Meetings (ITM) has released a white paper examining carbon offsetting. ITM created the discussion paper as part of its corporate social responsibility project Icarus. Icarus chairman Mark Avery said the paper discusses the pros and cons of carbon offsetting and offers alternatives. "It will be bound to make all those who are engaged in this subject think about the options they have and we believe it is the first paper to delve into this innovative approach to managing corporate responsibilities," said Avery. Icarus advisory board member Jon Green said: "Discussion and debate is much needed in this space as politicians, business and citizens examine the role of corporations in society. The use, role and management of business travel and meetings is a pivotal part of that decision." The white paper is available to ITM members and Icarus subscribers. ITM's Icarus project was established three years ago and aims to help clients and suppliers reduce carbon emissions from corporate travel programmes, and understand how they can integrate corporate social responsibility principles in their business models. What are your experiences with corporate social responsibility? Join the C&IT forum and have your say.